Congratulations to the HHCBC and AssLIHC Award Winners at this year’s Hudson Valley Homebrew Competition, in Poughkeepsie, NY! CIDER SWEEP – 2nd Year in a Row! 2nd Place, Best of Show, Cider…Tom Weber! Sunday, March 25th. 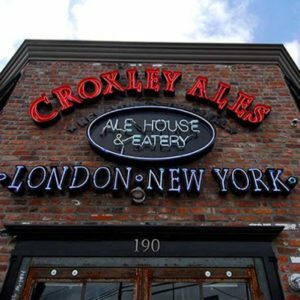 – Coney Island Wort Share Competition and Social – Everyone should try and swing by for good brews, good times and good luck to our club members who have entered! Winner gets a chance to brew with Coney Island Brewing! SAME DAY! Saturday, April 7th – Brew for Autism, in Staten Island. Tickets are Sold Out, but stay posted to our social media pages to catch up on festivities for this great fundraiser event. The Club and Pete’s Shop will be pouring for a good cause. SAME WEEKEND! Friday, April 6th through Sunday, April 8th – First Round Judging for the National Homebrew Competition. Anyone seeking to volunteer as a steward can sign up. Several HHCBC/BJCP Judges will be attending; Several Club Members have entered under the AssLIHC Banner to get points for all of Long Island. Awards and announcements are Sunday Evening, 4/8, so swing by to show support! Saturday, April 21st – Blue Point Cask Fest – Find these coveted tickets and join us for what is known as one of the THE BEST events of the year! Stay tuned to the Club Facebook Page and Email List for More Upcoming Events! Club Competition. DEADLINE EXTENDED FOR ONE WEEK ONLY! March 20th Deadline for the First Leg of the Competition – Winner Chance to Brew at 1940’s Brewery. Details and Sign-Up IS AVAILABLE NOW! Deadlines in May, August, November. Chris Bonacorsa has agreed to head up the committee for planning related to HomeBrewCon this June in Portland, OR. He’s been in touch with the AHA, and has posted a form to sign up if you’re interested in going. Please see Chris if you’re interested. AJ has limited club shirts available for purchase. Conversation has started for club hoodies, sweatshirts and other items. See [Claudia] after the announcements to sign up or renew for 2018. Reminder, Discount: Lyft – Use Code “HHCBC” – Plan you travels, get home safe! GUEST SPEAKER: Chris from Guinness US! Outstanding flight of Guinness products, especially the surprising Antwerpen Belgian-style Stout. History and overview for Guinness was presented and discussed. GUEST Vendors: The Hop Brothers were on hand to share samples and sell NY State-Grown Hop Pellets! Next meeting will be Tuesday, April 17th at Press 195, Rockville Center…the rep from Greenport Brewing will be our guest speaker! 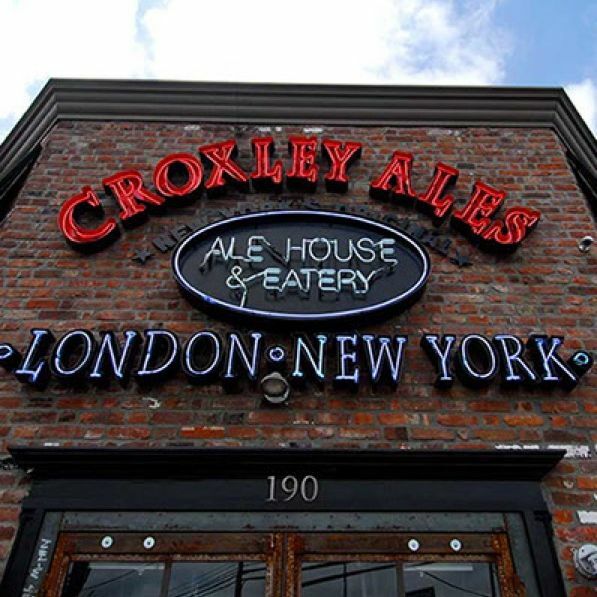 Thanks to Croxley’s Ale House!